Barclay, Old Goucher and Greenmount West can probably be counted as the first heavily disinvested majority African American communities in Baltimore which have been able to stage a turn-around in a planned and sustainable way. For a long time Barclay, Midway and Greenmount West were some of the most dire representations of a city that has fallen on hard times: Vacant buildings wherever one turned, trash strewn empty lots, abandoned stores, building fires and lots of gun fire as well. Greenmount Avenue bordering or traversing these communities was one of the saddest arterials leading out of the city, so characterized by abandonment that some didn't even dared to drive on it in a car, let alone ride it on a bicycle. Since 2005 a slow and steady transformation has taken place to a point that today a renovated rowhouse can be put up for sale for an incredible $350,200. That house isn't just one of those plain vanilla rehabs where the floors are beige carpet, the doors hollow and kitchen appliances of the budget variety. Instead, the 3-bedroom, 2-bath 2,000 sf rowhouses in the North Calvert Green section of Barclay have Energy Star certification, feature "watersense" toilets, boast dual-zone air conditioning and hardwood flooring.There is a deck in back, a great view out the third floor windows and a new park in the making across the street. The group of a dozen rehabbed rowhouses "are worth what they cost" as Jubilee developer Charlie Duff puts it. Which means that they can sold (almost) without the usual write downs and subsidies. The dream state for real estate development because at that point "the market" can take over and fill out the remaining vacant buildings without draining the limited resources of whatever money is usually thrown at first time home-buyer homes in vulnerable neighborhoods. This point seems to take a view heavily slanted towards the developer, but think about it, a market driven approach is the only way how Baltimore can ever make a dent in its huge inventory of vacant houses. There is no agency on the local, state or federal level with the resources to renovate housing on a large scale if rents or sales prices cannot cover the cost of construction. There is also no sustainable, diverse and stable community if every house and every apartment are subsidized. The history of Baltimore's "projects" has sufficiently demonstrated that such concentrations of poverty are not successful as livable communities or neighborhoods. Does this mean Barclay is now "gentrified" and out of reach for the poor or that existing residents have been displaced? And if not, what is the secret sauce that made it possible to seel at cost and still have affordability? Telesis, the developer (Website), took over 268 city owned parcels, of those 94 were vacant lots. buildings, many of them vacant, some involving relocation. So far they have built over 200 affordable units and 35 market rate homes. For example the North Barclay Green: 57 apartments for households with about 60% of area median income including ten units designated for chronically homeless families or individuals. The building looks quite dapper, fronts Greenmount Avenue, and has 10,000 sf of first floor "community retail". Wondering what "community retail" means, I got to see an art gallery (The Tectonic Space), a tenant gathering space with business workstations and a dance studio for kids (Fearless Dance). Other developers in Barclay include AHC, a large regional affordable and mixed income housing developer. AHC completed 80 buildings in Greenmount West and Barclay with a total of 139 units. This mix indicates that one can hardly talk about "gentrification", at least not in the sense that there wouldn't be affordable housing choices or that the offerings would not be diverse. baking protections for existing residents into the plan was certainly a goal of the community stakeholders. As one of the ingredients of the secrete sauce Telesis established a stable team of partners they pretty much maintained throughout, including Southway Builders, Marks Thomas Architects and most importantly, community partners such as the People's Homesteading Group (PHG) for outreach and in some cases deconstruction of units. The Telesis Plan was essentially a community plan based on hundreds of meetings with all stakeholders which organized as the Barclay-Midway-Old Goucher Coalition. The plan has many physical and capacity building elements which can be studies here. How did these many affordable unit get financed? The answer is complicated like everything with affordable housing and exceeds what this article can cover. Funding included the usual sources such as low income tax credits, development block grants, New Market tax credits and a whole host of programs including historic tax credits for units in the historic district. Included in the menu is also the new HUD Rental Assistance Demonstration Program which was used for the rehabilitation of the Brentwood building. The building was brought up to current standards with residents being able to stay on. Another important partner for funding is TRF, now simply called RF for Reinvestment Fund. (T)RF's role in this should not be underestimated since capital is usually the scarcest thing when it comes to investing in disenfranchised communities, the federal Reinvestment Act intended to force banks to lend in poor communities notwithstanding. (T)RF has specialized in pooling over 800 investors to access sufficient money to place strategic loans. 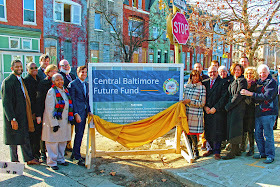 Fund investors include the Abell Foundation, Anne E. Casey Foundation, City of Baltimore, First Mariner Bank, Goldseker Foundation, Howard Bank, Johns Hopkins University, Living Cities Foundation, M&T Bank, MECU, PNC Bank, and Rosedale Federal Bank. 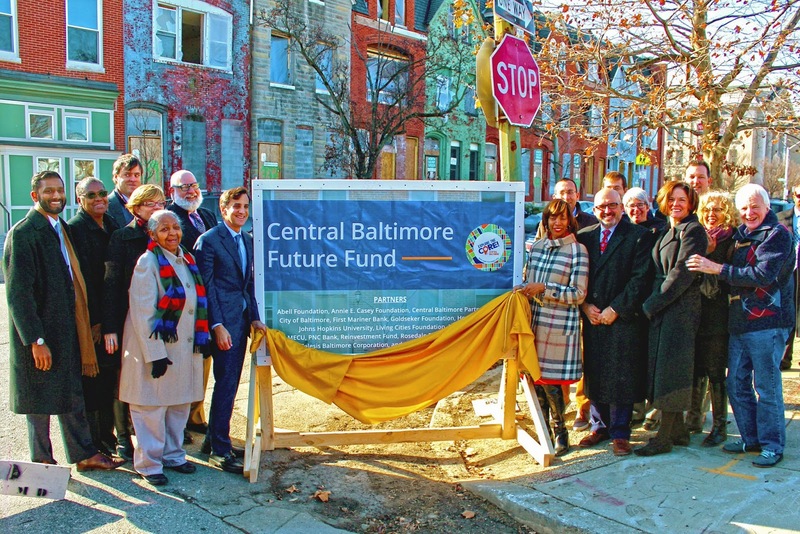 Last December another $10 million loan as part of a Central Baltimore Future Fund was announced, a fund managed by RF. RF has loaned $43 million in Central Baltimore, according to Don Hinkle Brown, the RF CEO. Sean Closkey, President of RF Development Partners has spoken at Baltimore Housing's "Vacants to Value" summits where he explained in the most cogent manner how strategic investment works. Two thirds of the plan are currently completed or under construction. All affordable apartments were almost immediately filled. 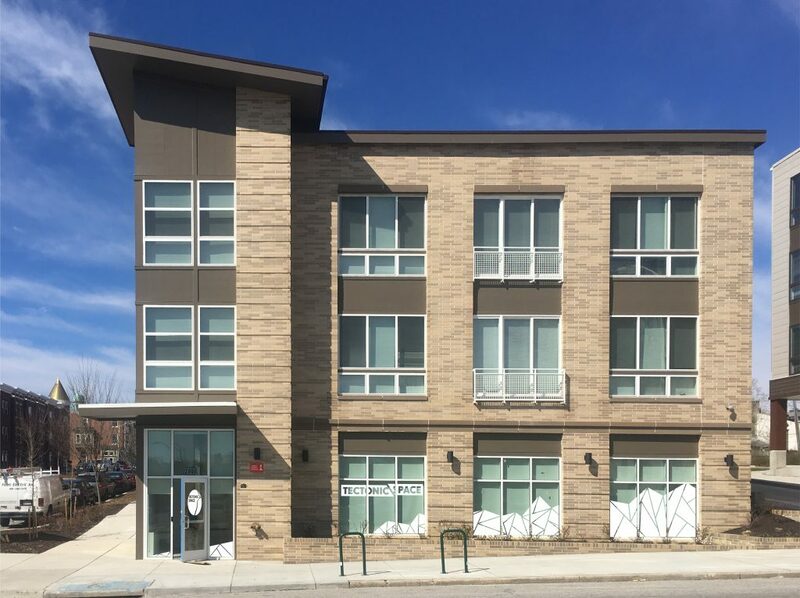 Barclay is bounded by Greenmount West, Midway and Old Goucher, all communities that are part of the Central Baltimore Partnership, a partnership which developed a masterplan for more than a dozen central Baltimore neighborhoods and the goal to add as many as 3000 new households. The fact that Barclay is embedded in a larger area plan and is located near areas of strength such as the Arts and Entertainment District to the South are additional ingredients to the secret sauce. 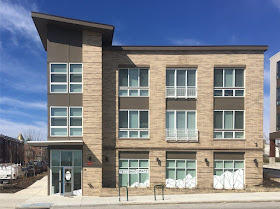 Greenmount West, its southern neighbor is a turn-around community in which the driver is the Station North A&E district and investments such as the Baltimore Design School, City Art 1 and 2, both affordable artist housing projects, the new Open Works maker space and the Lillian Jones afforbale housing development east of Greenmount Avenue. As the former community association president for Greenmount West, Dale Hargrave who is very complimentary of Telesis work put it: “We didn't just settle on just anything”, explaining how a slew of developers "well dressed with jewelry and all (Hargrave) come to the community and promise a lot. "We were very selective", Hargrave emphasized, "and so were you", meaning Barclay the Barclay Old Goucher community. The secret sauce to Barclay-Older Goucher's success is not easily replicated, whether it is the large Central Partnership with powerful partners who can fuel a reinvestment fund, or the responsible and knowledgeable master developer who not only builds but also manages all the rental units; or the community-based very strategic plan which carefully stages investments so they build on each other or the diligent tapping into so many grants and housing programs, many them in danger of being cut by HUD under the current administration. The 10 year progress proves that it is possible to bring poor and vulnerable communities back without too many demolition bulldozers, real or economic displacements and do so in a sustainable way that produces not only bricks and mortar but also strengthens and trains people. Happy old-time residents of Barclay will in the end be the best ambassadors for attracting new people to fill all the new development. And they can also be ambassadors to the many other still struggling communities. As part of AIA's Architecture Month I will give a lecture about the "Future of Baltimore" on October 18 at 6pm at the MICA Lazarus Center on 131 West North Ave. My book "Baltimore, Reinventing an American Legacy City" will be available for purchase.